We print hundreds of business cards every week. Whether you need your glossy, satin coated, extra thick, die cut, foiled or spot UV coated, or if you want something nontraditional we have business cards as stickers, magnets, and plastic cards. We can design them and work through the process with you to find a solution that you’re happy with. We can also just print your cards and get them to you quickly and cost-effectively. 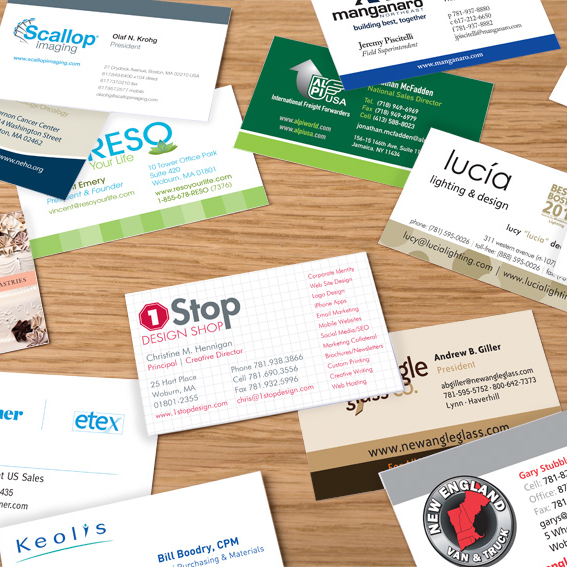 Contact us about business cards today!